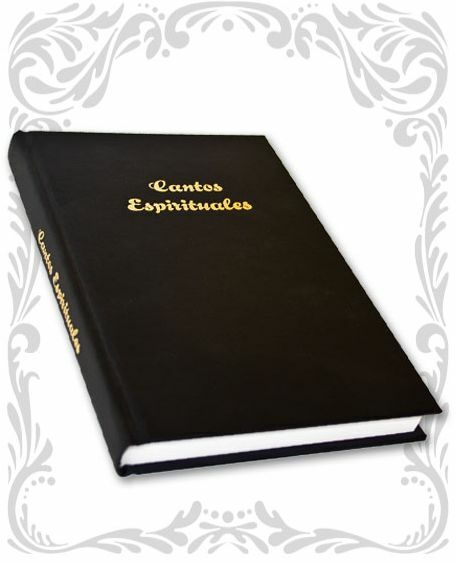 Cantos Espirituales is the hymnal most widely recognized and used by the Spanish speaking Churches of Christ worldwide. This hymnal contains 249 traditional songs sung in the services of the Churches of Christ. The hymnal is covered in a black vellum cloth with Cantos Espirituales imprinted on the front cover in an imitation gold foil. We strive to keep our costs down and affordable to the churches worldwide. They are priced at $12.00 a book plus $1.50 shipping per book for shipping inside the US. These prices will become effective on January 1, 2011 due to increased printing and shipping cost. Special arrangements must be made for shipping outside the US. Copyright © 2008 Cantos Espirituales. All rights reserved.